The extensive repair work at 1-4 St Paul’s Square is now complete! Building contractors V E Parrott, who began the repair works on the properties in 2014, have this week handed the keys back to Aldwyck Housing Group, so the properties can be let. Aldwyck, who will be managing the properties, have already found tenants to occupy the lovingly restored buildings, which have been transformed into comfortable, modern-equipped town centre homes. Prior to their refurbishment, these historic properties in the heart of Bedford’s town centre had been left vacant for nearly 40 years. However, Bedford Borough Council’s Townscape Heritage Initiative project (funded by the Council, the Heritage Lottery Fund and Bedford BID) sparked renewed interest in the properties. In 2014, the properties were bought by Aldwyck Housing Group to save the buildings and convert them to much-needed affordable town-centre housing. The buildings on St Paul’s Square span over 500 years of Bedford’s architectural history. The oldest building, 1 St Paul’s Square, was constructed in the medieval period; which is much earlier than previously thought, as discoveries made during the repair works revealed. 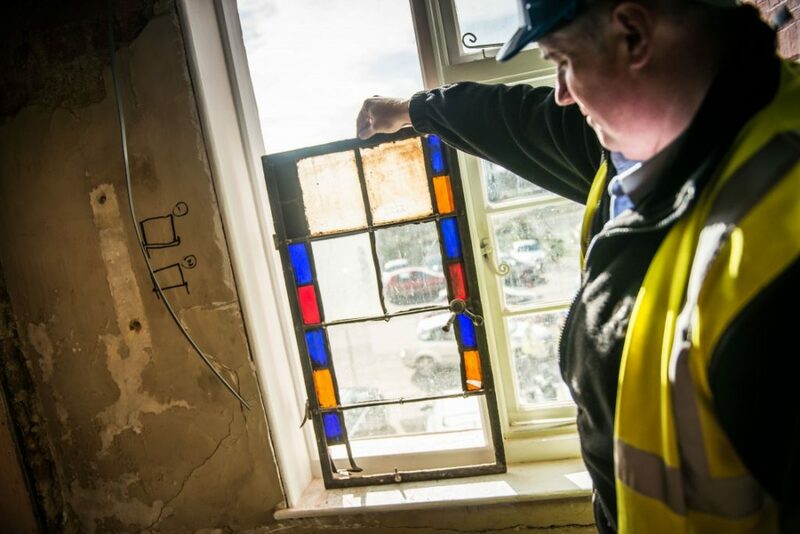 ‘Dendrochronological’ dating of the principal timbers of the property’s timber frame, which were revealed as part of the restoration works, uncovered that the property was built around 1460. The building was later re-fronted with the elegant Georgian façade that we still see today by its then-owner Richard Cave; a wealthy coal merchant and previous Mayor of Bedford. 4 St Paul’s Square is the newest of the properties, having been constructed in the mid-19th century as the vicarage for St Paul’s Church. The building features a grand cantilevered stair that rises up through the centre of the building, top-lit by a large glazed lantern. The stair, which was near collapse as a result of extensive water damage when the works began, has now been fully restored. 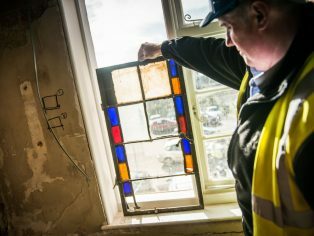 Funding for this important and exciting renovation project came from Aldwyck’s own capital investment, a grant of £420,000 from the Homes and Communities Agency, Bedford High Street’s Townscape Heritage Initiative grant funds, and funding from Bedford Borough Council’s Affordable Housing budget.